Wendy Howard, a Bilingual Early Childhood Specialist for thread and Care Coordinator for Help Me Grow Alaska, works with families, child care providers, and communities by providing child care referral services, child development information, parenting education resources, free child developmental screenings and other resources that support healthy growth and learning opportunities for children. Wendy believes that the most rewarding aspects of her position are helping families and their children. Her positive and outgoing personality helps families gain access to resources and support that they can benefit from. Wendy has been working for thread for over 12 years, and throughout the years she has provided consistent excellent customer services (in Spanish and English). Her dedication, knowledge, and commitment to families have made a difference in our community. She has been awarded and nominated for “Best Customer Service award”, “Cheerleader Award”, “Best advocate award”, “Most inspirational award”, and for most “Efficiency innovation award” for her work. 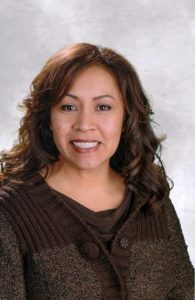 Wendy is very familiar with special education, early childhood development education; and she is currently enrolled in the Associate of Applied Science in Human Services offered through the UAA College of Health, University of Alaska Anchorage. 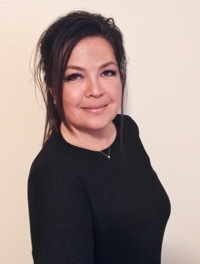 Tamora Harding-Childs is a Care Coordinator for Help Me Grow Alaska who connects families to their community-based resources and provides developmental screening options for children, statewide. Her guidance assists Alaska families to access regional support agencies, medical care, schools, and local community events. As an Early Childhood Specialist for thread (CCR&R Network), Tamora has years of experience working with early educators, children with special needs and their families, and assisting caregivers to find early care & learning programs, and also share information on parenting, child development, and child care program quality expectations. She has experience living and working in rural communities of Alaska, teaching in federal programs preschool settings, and facilitating public art projects for children. Tamora holds a Master of Education and Bachelor of Fine Arts from University of Alaska, and an elementary teaching certification, K-8. 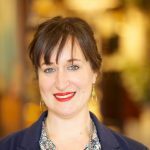 Tamar Ben-Yosef joined AAPP in 2015 as executive director, following a position as account executive at Thompson & Co. Public Relations, a leading public relations agency in Anchorage, Alaska. During her time at the PR agency, Tamar played an active role in bringing in new business through developing and writing business proposals, strategizing and coordinating events for clients and developing original content for websites, blogs, and editorials. She has traveled extensively throughout rural Alaska writing stories for the Arctic Sounder and Dutch Harbor Fisherman newspapers. Carmen Wenger joined AAPP in July 2017 as the program director for Help Me Grow Alaska. She holds a bachelor’s degree in Environmental Earth Science from Dartmouth College and a Master of Public Health Degree in International Health and Development from Tulane University. Carmen has worked in public health and community development in the United States, Latin America, and southern Africa. Her work has centered around social justice causes, primarily focused on access to appropriate health services and other basic human rights. Rachel first joined the All Alaska Pediatric Partnership as a social work practicum intern with Help Me Grow Alaska for the 2017-2018 school year and was then hired on in July 2018. 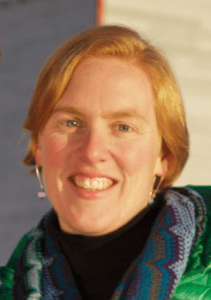 She holds a bachelor’s degree in Early Childhood and Special Education from Cedarville University and a Master of Social Work from the University of Alaska Anchorage. Rachel has experience in special education, children’s behavioral health, coaching teachers, and supporting family systems. 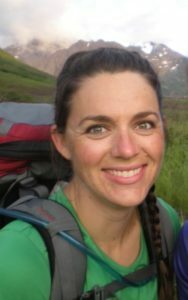 When not working, Rachel enjoys exploring Alaska on foot, kayak, ice skates, skis, bike or whatever else takes her to the backcountry with her husband, and dog of course. The All Alaska Pediatric Partnership is a catalyst for improvements in Alaska’s health care systems and services for children and their families. We support and link healthcare services between government, healthcare entities, social services, and payers for children and families by leading collaborative opportunities, improving efficiency within systems, advocating on behalf of children, expanding education and training opportunities for healthcare professionals, and enhancing communication around children’s health and wellness. We recognize and respect the diversity within our organization and our community, and use it as a guide to innovative thinking that leads to change.